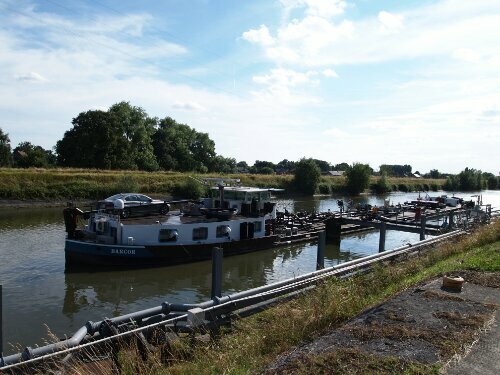 I arrived in Belgium on 16 August to some disappointment as they appeared to have forgotten to put a border in where I crossed at Watou. I forgave the Belgians in light of the excellent cycle network they have in the west, France was good but this was amazing! Towns linked by dedicated cycle lanes by the side of roads and clay lanes in towns that don’t stop and start randomly. I was feeling far safer on my bike here. 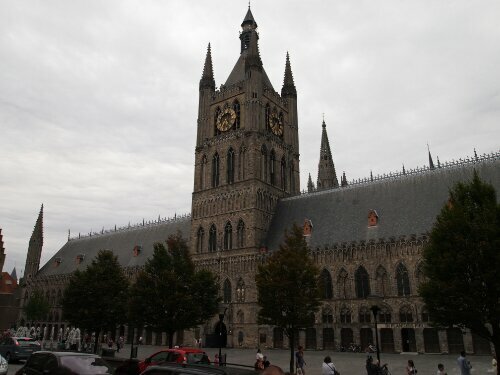 The route I took was very nice too, through scenic towns like Poperinge and Ypres. 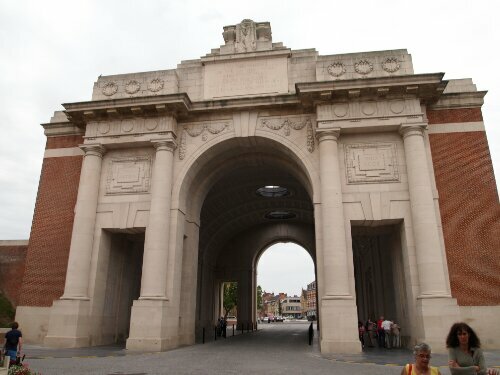 Ypres having a very nice town centre including a memorial arch to the British war dead. And possibly a cathedral, it started to rain a bit before I could check. After Ypres I made my way to Wevelgem along the Menin road which had many memorials and cemeteries from World War One along it. At Wevelgem I’d be trying my first experience of Warmshowers.org, a couch surfing equivalent for cycle tourers. 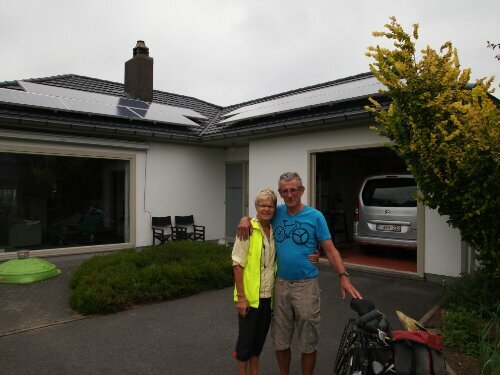 I was lucky enough to be hosted by Dirk and Magda who were very kind. Magda making sure I was full with a three course meal in the evening and set to go the next day with a good breakfast. It was also good to talk to some other cycle tourists for the first time and get some advice. The canal was quite impressive with huge barges plying it. Some of them with their owns cars. I stayed the night in Erbisoeul in a very odd campsite after I couldn’t locate the one I picked. 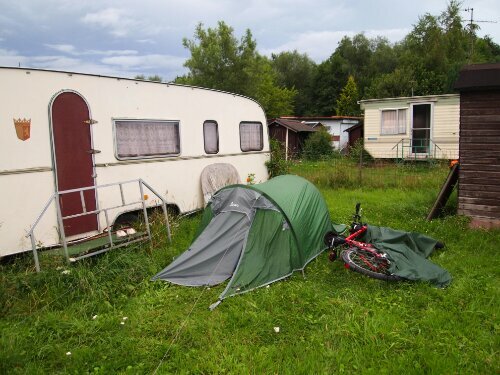 It was full of Belgian rednecks and I had to pitch my tent next to an abandoned caravan next to a family clubbing fish to death. It turned out nice though as the owners apparently didn’t know what to do with me so didn’t charge. Sadly the next day was not so great… it started raining heavily around 8:00 and didn’t stop properly until 16:00, that was a pretty miserable period! On the plus side I know everything that needs to be waterproof is: from panniers to clothes. Thankfully everything that was put away dry came out dry. 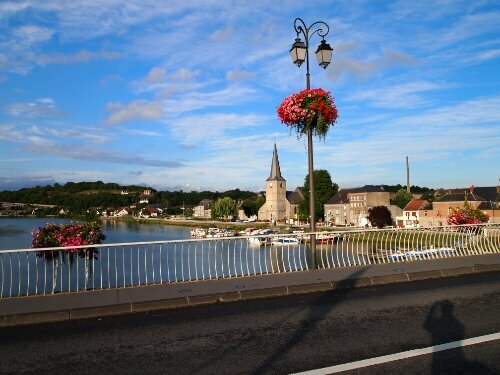 At the end of the day I ended up in France in a pretty town called Givet that is almost an enclave. 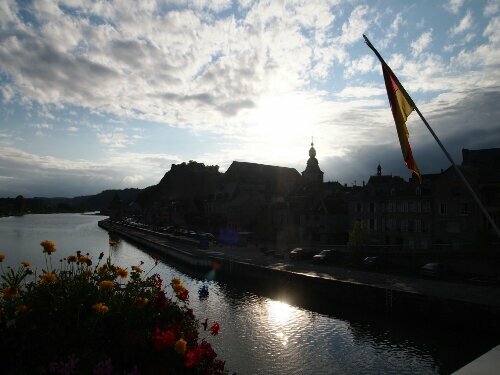 It sits on the Meuse and appears to have some nice fortifications. 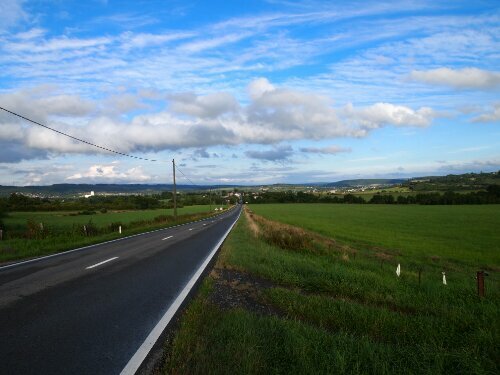 After a dreary day it was nice to finish in the Ardennes with some immediate natural beauty. The next day I headed back into Belgium in order to make for Luxembourg. This was a good day’s riding, I managed to avoid getting lost once, so made good time. I also discovered another place that isn’t as flat as I thought: Belgium. The Low Countries as a description definitely ends after Givet – I spent the whole day going up and down and according to my map reached a peak of 500m. This I did pretty much in one long windy drawn out go into the town of Libin. I was happy to get to the top of that hill – dragging 35kg up anything on a bike is hard work! That was the biggest single climb I had to do and the rest of the day was spent at the top of that ridge with much more gentle hills. 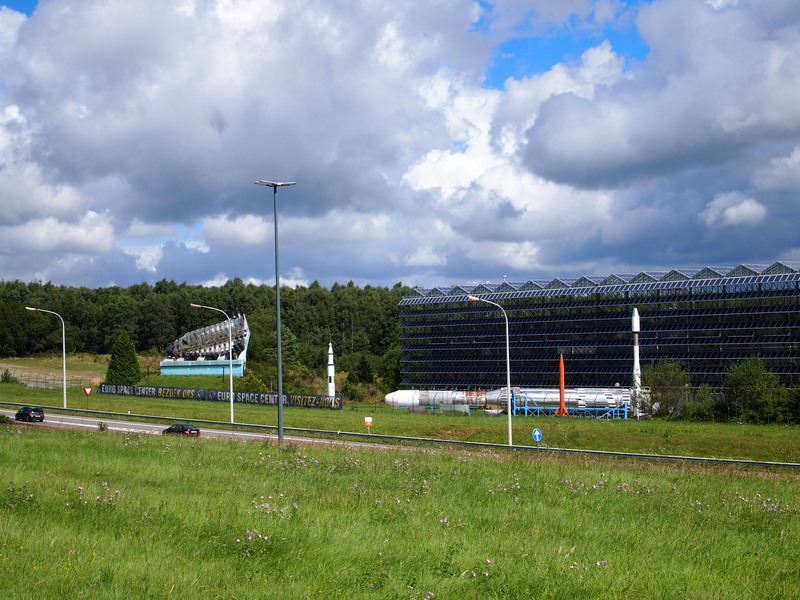 The landscape was beautiful, with forests all around and pretty villages, I even rode past the European Space Centre. At Neufchateau I was overtaken by Etienne a Belgian cycle tourer off for a couple of weeks. I thought I’d give keeping up a go as I wanted to make sure I got to Luxembourg that day. Etienne was going a lot faster than me as he had about half the weight on his bike and a speedier set up. He was kind enough to let me ride in his slipstream though and I was able to keep up with him as we chatted occasionally. We rode like this all the way into Luxembourg where our paths diverged and I headed off to stay with my friends Dora and Pavel. Hi Adam, Arne here, this journey sounds EPIC, can’t wait to hear more of your adventure. Where are you going to go next? Hey Arne, I arrived in Strasbourg today and hope to head to the black forest tomorrow.